Approx 15 acres m/l about a mile north of Fayette and adjacent to the Volga River Rec Area. There is power to a potential building site and there is a well. 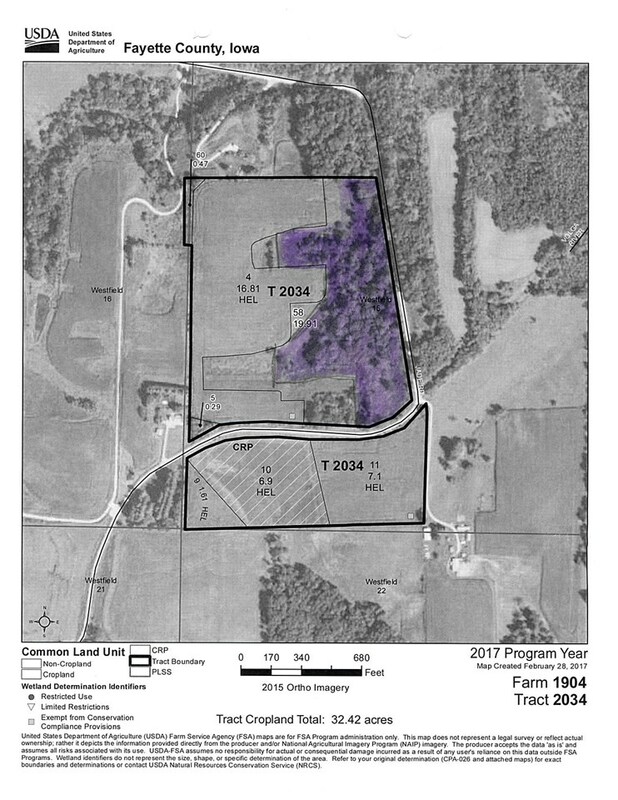 The seller will pay for the survey to split approximately 15 acres from a 51 acre tract. Beautiful building site on a level site with gorgeous trees and valley.